A little Ndulge goes a long way with REN. I have been known to frequent the lovely store that is Space NK. My appreciation for it started pre-kids when I worked approximately 1 minute walk away/7 doors down from it’s George Street Edinburgh location. It was rude not to pay a visit at lunchtime. That was 10 years ago and now although I do not work as close to it, it is still such a treat to make a visit. Space NK has a loyalty points scheme, N.dulge, which rewards you with N.centives after you reach 100 points. After perusing their online sale recently, I got the delightful surprise at the checkout to find out that I had managed to collect a few of these N.centives and not spend them up as soon as I received them…. no idea how that happened. Not only was I buying the wonderful REN Skincare Anti Ageing Kit for half price at £37.50, but I now had £20 of N.centives to use up also. I had toyed with getting some of the REN Products in this kit for a while but was advised that maybe they might be too much for my skin. I have to say they have been great and I was delighted to get them at such a bargain, especiatlly given that the two main products normally cost £84 combined. 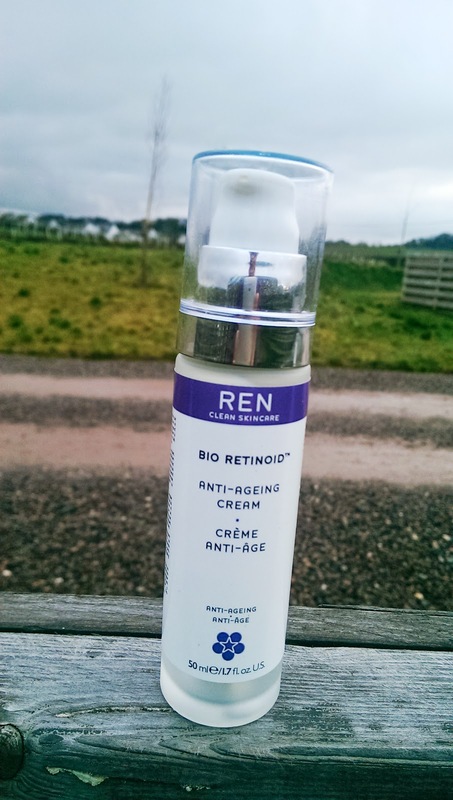 I have been applying the Bio Retinoid Anti Ageing Cream in the morning and in the evening I have been doubling it up with the Bio Retinoid Anti Ageing Concentrate. This makes it a super power of a skincare routine. Whilst it is too soon to tell if they are truly anti ageing, what I will say is that I have found my skin a lot more manageable. Fine lines are definitely less visible to me and my skin feels vibrant and more plumped up. It also feels genuinely more healthy, even after being in and out of cold weather/central heating. Let’s take the two main ones separately. 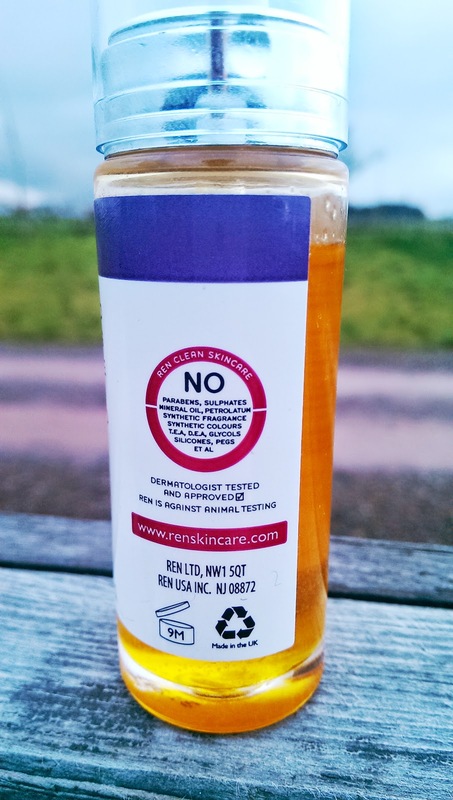 Bio Retinoid Anti Ageing Cream comes in a glass bottle with a pump dispenser. This actually dispenses the right amount for my skin in one pump. 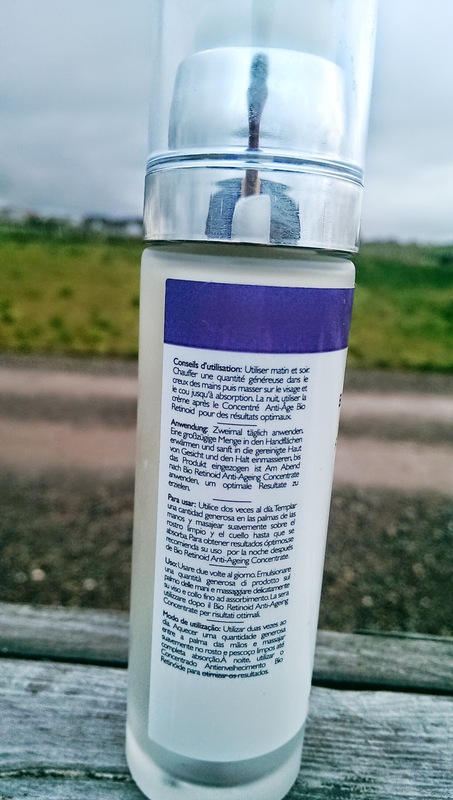 It leaves my skin feeling great for most of the day without any residue being left. I am struggling to come up with the right description of the scent. Mix tea with apricot and you might be some of the way there. At first I wasn’t sure if I liked it but I have to say that I love the smell now. The cream itself is really hydrating and it’s retinol alternative, Retinoid, has made some great work on my wrinkles. 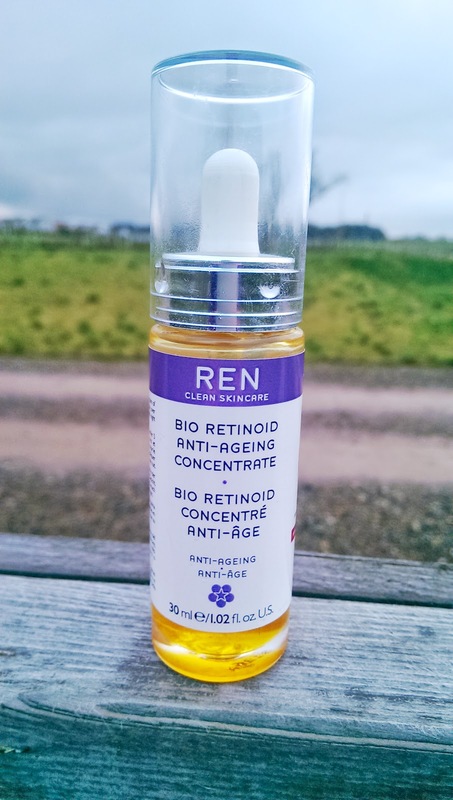 Bio Retinoid Anti Ageing Concentrate also comes in a glass bottle with a dropper. This skin serum really kicked my skin into touch. 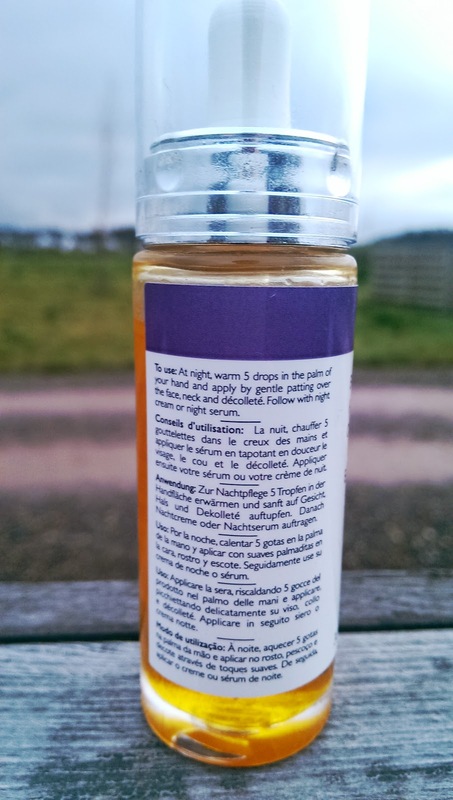 It feels wonderfully oily as you apply it but my skin devoured it and soaked most of it in. Although I could still feel a small amount left on my skin it was not tacky or greasy. This product is meant to be for night time application, but I would actually be happy to use it in the morning on days that my skin was a bit …. bleugh. It leaves a fab radiance. 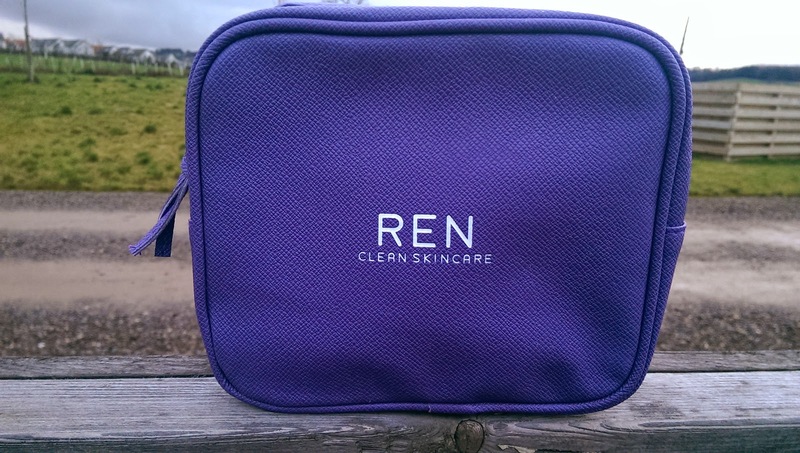 I have long been a fan of REN and their clean skincare range and they were one of the first paraben/sulphate/PEGS/synthetic fragrance/mineral oil/petrolatum/DEA free brands I tried. I am really happy with the transformation my skin has experienced care of the Bio Retinoid team!! Packed with ingredients including anti-oxidants, hyaluronic acid, vitamin A, omega 6 &7, bio retinoid and galactan from red algae, these products are a super powered. Have you tried any of these products? I will cover the Glycolic Radiance Renewal Mask in a separate blog.